Property has been considered a popular path to wealth for Australians for many years. It has the potential to generate capital growth as well as rental income. There are also tax advantages associated with negative gearing. However when buying an investment property, it is wise to remember you are making a business decision. It’s worth taking the time to plan. The move towards high density living, smaller dwellings and busy lifestyles that curb our enthusiasm for garden maintenance has seen a growing popularity for alternative garden designs such as vertical gardens. Generally the saving in interest payments on your property loan will be greater than the interest received in an investment account – especially at the moment with the cash rate being the lowest in many years. Would Your Bank Return Overcharged Interest to You? It is not uncommon in the world of finance to find out many years later that the home loan that was set up for you wasn’t actually followed through as intended with the lending institution. 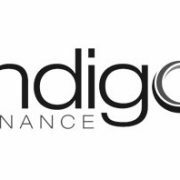 http://www.indigofinance.com.au/wp-content/uploads/2017/03/default-v2.jpg 198 300 wsadmin http://www.indigofinance.com.au/wp-content/uploads/2017/01/indigo-finance-logo.png wsadmin2015-03-02 01:58:052017-03-09 02:41:59Would Your Bank Return Overcharged Interest to You? It is our greatest fear, in the world of responsible lending, to take a call from any of our clients who have had an accident or illness and have not taken our recommendations on protecting their health, wealth, debt and income.